You can relax in the convenience of a sauna. The leisure room can accommodate up to 25 people and sauna has space for up to 8 people. The sauna room is heated by an electric stove. On request, we offer traditional sauna snacks and various refreshments in the leisure room. The menu of Via Ikla has something for everyone's taste. 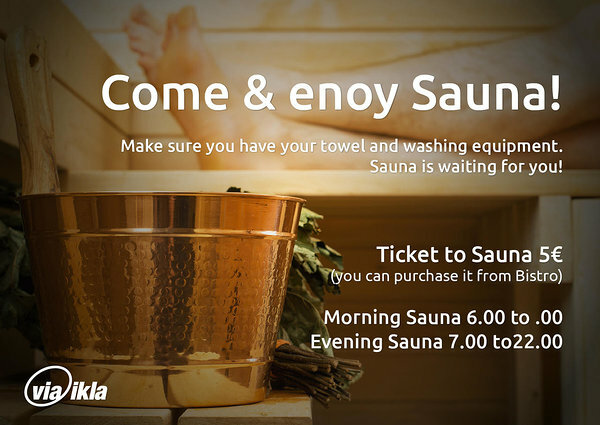 The sauna is available only on pre-booking.